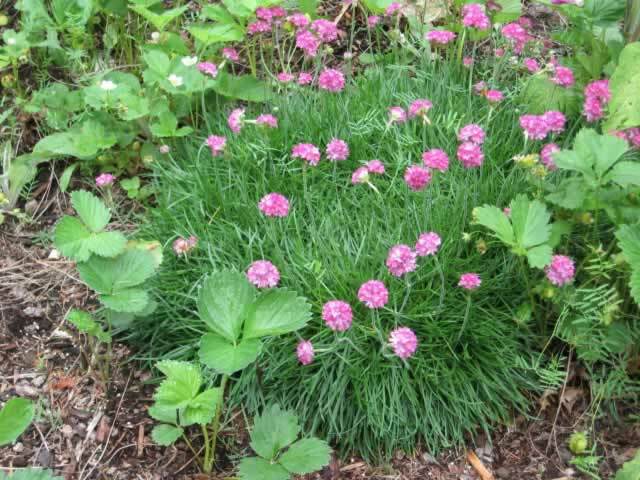 Could your mystery plant be a sea pink or Armeria? Here is a picture of one that displays the foliage better than most links do - though there are a lot of varieties of Armeria, some drape better than others! Might be... There are so many Armerias I would really need a good flora to identify it. Of course, if we had been there some months earlier when it had flowers it'd be a lot easier.